Okay Diablo 3 is just around the corner. If you have a physical copy waiting for you or you pre-ordered in a store here are the link so you can download now and play right away when you get your copy. Total download is about 7gigs. 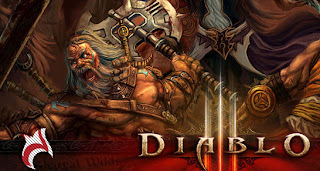 Here is a list to all the Diablo 3 download locations. You can download and install now and play right away at midnight on 05/15. Thank you so much. I felt behind when i pre-ordered at the store and was worried the download would be slow when I got home.